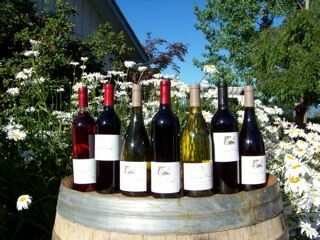 Located in Historic Jacksonville Oregon, Vineyard View is walking distance to downtown and the Britt Festivals. Nestled between Daisy Creek Vineyard and lush Pear Orchards. This one of a kind community has fantastic views of the Rogue and Applegate Valleys as well a beautiful park with Gazebo to enjoy. 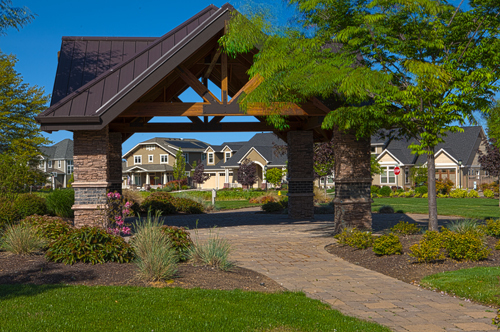 We invite you to come out and see for yourself why Vineyard View is the best neighborhood in Jacksonville. Contact us for great home packages. 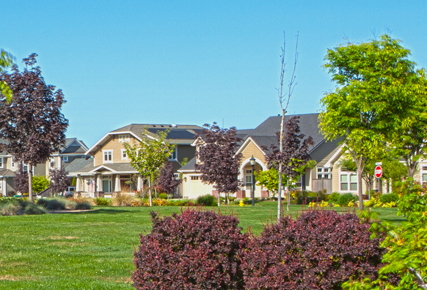 New homes from 2000 sq ft to 3000 sq ft. Pick up a brochure at the Jacksonville Visitor Center map and then begin a walking tour of the historic business district, the historic homes and the things to do in Southern Oregon. These tours are self-guided, audio tour rental units are also available at the Visitor Center. If you prefer, trolley tours are also available of the historical downtown commercial district and the some of the historical homes. Hikers and nature lovers can enjoy the 16 miles of woodland trails covering 320 acres without ever leaving Jacksonville. These trails are maintained by the Jacksonville Woodland Trails Association and offer hikers a wonderful series of trails to explore. See an abundant amount of wild life and wild flowers while never leaving town. There is a small but wonderful skate park for skating enthusiasts in Jacksonville. Click here for more information. During summer and early fall, Jacksonville is host to thousands of music aficionados who enjoy all types of music performed on the world-famous Britt stage known for its remarkable natural acoustics. The venue is a amphitheater, created by nature and surrounded by beautiful ponderosa pines and madrones. Located on the estate of 19th century photographer Peter Britt, music offerings include jazz, folk, rock, classical, dance and country. Only fifteen miles south of town is Ashland, home to the world-famous Oregon Shakespeare Festival. Not only are the Bard’s classics performed during this eight month festival, but also there is modern drama and comedy. Performances can be seen at matinees and evening performance. Shopping is upscale in Jacksonville. There are three antique stores, art galleries, and a plethora of boutique specialty shops. In fact, Jacksonville is a shopping magnet for residents of the entire county. Tourists and locals alike are delighted by the wide variety of foods and ambiance available in Jacksonville. Whatever your craving, there is a spot in town where it can be filled. A number of restaurants are found in the historic district with intimate surroundings that help make your meal even more enjoyable. Most restaurants use locally sourced food products and wines. The Applegate River is only a short distance from Jacksonville. It is known for its many river based activities that include camping, fishing and swimming. The Applegate Valley, is filled with picturesque pastures and vineyards dripping in sun. The many boutique wineries in the valley have tasting rooms. Visit www.applegatewinetrail.com for more.